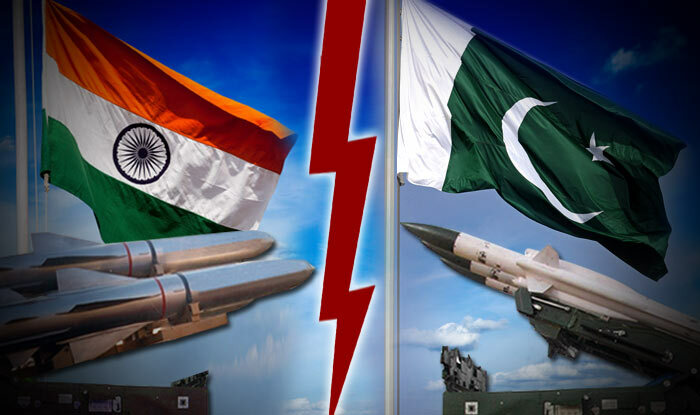 Haq's Musings: India-Pakistan Nuclear Standoff: What Does the West Have at Stake in South Asia? India-Pakistan Nuclear Standoff: What Does the West Have at Stake in South Asia? The West, particularly the United States and Canada, are geographically far removed from South Asia. This distance makes many think that any nuclear exchange between India and Pakistan would not have a significant impact on life in America and Europe. Dr. Owen Brian Toon and Professor Alan Robock dispute this thinking. They believe the nuclear winter following an India-Pakistan nuclear exchange will kill crops as far as the United States and cause a global famine. Another study by Nobel Peace Prize- winning International Physicians for the Prevention of Nuclear War and Physicians for Social Responsibility reached the same conclusion. Professors Robock and Toon have calculated that the smoke from just 100-200 Hiroshima sized atomic bombs exploding in South Asia would cover the entire globe within two weeks. This smoke would hang 30-50 miles above the surface of the earth where it never rains. This thick layer of smoke would block the sun causing farmers to lose their crops for years to come. The resulting famine would kill billions of people around the globe. It seems that the American leadership recognizes the devastating global impact of possible India-Pakistan nuclear war. 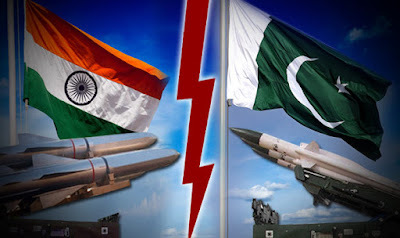 In "Brokering Peace in Nuclear Environments U.S. Crisis Management in South Asia", Pakistani-American analyst Dr. Moeed Yusuf talks about the US efforts to prevent India-Pakistan war that could escalate into a full-scale nuclear exchange. He analyzes American diplomacy in three critical periods: Kargil conflict in 1999; the stand-off after the Indian Parliament attack in 2001 and the terrorist attack in Mumbai in 2008. 1. US-Pakistan relations: Yusuf says Washington now sees India, not Pakistan, as its strategic partner in South Asia. Washington's entire relationship with Islamabad today revolves almost exclusively around Afghanistan where American and Pakistani interests do not converge. The only time the United States gets involved in India-Pakistan conflict is when there is a serious crisis that the world fears could escalate into a nuclear confrontation between them. 2. India-Pakistan Ties: There is no sustained dialogue between New Delhi and Islamabad to resolve issues such as Kashmir between the two neighbors. Yusuf speculates that India wants to wait it out for the time when its economic and military differential with Pakistan becomes so large that Delhi can dictate terms to Islamabad as the unchallenged regional hegemon. 3. Afghanistan War: Pakistan does not believe that the Afghan Taliban can be militarily defeated and insists that the United States must talk directly with them to reach a political settlement. Yusuf now believes that the recent start of direct dialogue between the United States and the Taliban may bring an eventual end to America's longest war. Here is a TED talk by Dr. Owen Brian Toon, professor of atmospheric and ocean sciences at University of Colorado at Boulder. He's citing research he did with Professor Alan Robock, professor of climate research at Rutgers University. Pakistan's Ministry of Foreign Affairs condemned Thursday's violence and denied involvement. "We strongly reject any insinuation by elements in [the] Indian government and media circles that seek to link the attack to [the] State of Pakistan without investigations," ministry spokesperson Mohammad Faisal said. A senior leader of Pakistan's ruling party said the bombing was the result of "brutalities of Indian occupied forces in Kashmir," and that India's allegations were part of a political campaign as the country's general elections near, according to The Associated Press. Angry Hindus took matters in their own hands Friday, shouting "Attack Pakistan, Attack," the AP reported. Some protesters torched vehicles and threw rocks at houses in Muslim neighborhoods, prompting authorities to set a curfew to defuse tensions. For decades, Washington has maintained a delicate balancing act in South Asia, relying on cooperation from Pakistan to crack down on terrorism while trying to engage more with an economically emergent India. The U.S. embassy in India has called on Pakistan to stop supporting terrorist groups that operate on its soil. "This attack only strengthens our resolve to bolster counterterrorism cooperation and coordination between the United States and India," the embassy said. But Moeed Yusuf, associate vice president at the United States Institute of Peace's Asia Center, tells NPR from Islamabad that India will "most likely end up frustrated" with the United States. "The U.S. and Pakistan are working too closely on finding a solution in Afghanistan for the U.S. to come down hard on Pakistan," he says. Rhetoric on both sides will be ratcheted up, he says, but military escalation is unlikely for the nuclear-armed neighbors. "India risks being counterattacked, and if it does, in a nuclear environment, you're going to have the world descend upon India and Pakistan to push them to de-escalate tensions." As for Adil Ahmad Dar, Thursday's alleged suicide bomber, he appears to have nursed resentment for troops in the region. "He was beaten by Indian troops a few years back when he was returning from school," his mother, Fahmeeda Dar, told Reuters. "This led to anger in him against Indian troops." She said one day in March 2018, her son didn't come back from work. The family stopped searching for him after three months, she said. "Finally we gave up efforts to bring him back home." That evening, Indian National Security Adviser Ajit Doval spoke over a secure line to the head of Pakistan’s Inter Services Intelligence (ISI), Asim Munir, to tell him India was not going to back off its new campaign of “counter terrorism” even after the pilot’s capture, an Indian government source and a Western diplomat with knowledge of the conversations told Reuters in New Delhi. U.S. security advisor Bolton was on the phone with Doval on the night of Feb 27 itself, and into the early hours of Feb 28, the second day of the Trump-Kim talks, in an attempt to defuse the situation, the Western diplomat in New Delhi and the Indian official said. Later, U.S. Secretary of State Mike Pompeo, who was also in Hanoi, also called both sides to seek a way out of the crisis.